When your vegetable plants lack potassium they can appear smaller than normal even a little thin as is the case with tomatoes and although they do not look “sickly” they are suffering and that could cause smaller harvests and even no harvest at all. Potassium is important to your vegetable plants because if aides in the process of photosynthesis. Photosynthesis, if you remember from science class in school, is the process of converting carbon dioxide into organic compounds using the energy from sunlight. Potassium in plants has also been shown to aid in the formation of proteins in plants which gives your vegetables their nutritional value. So it goes without saying that plants growing in soil that lacks or is deficient in potassium will in turn not be able to carry out the photosynthesis process or provide adequate protein. And if that was not enough potassium has been shown to aid microorganisms in the soil. Now that we have covered potassium’s importance and what will happen if you neglect this very important nutrient, let’s go over how to get some in your soil. There are over the counter items you can use that will add potassium directly into your soil for immediate solutions, but if you want long term solutions use the following. If you are fortunate like me to have an outdoor fire pit (I bought mine at Target for $60), then burning some good ole fashioned logs will result in a good source of potassium for your soil. I am talking about wood ash. It doesn’t contain a lot of potassium and may raise your soil’s pH level, but it is a quick release option and also safe. Do not use charcoal ash. Charcoal ash can be toxic to your plants. Greensand is another option that comes from the bottom of the ocean. A small portion of the potassium that it contains is quick releasing while the majority of it is slow release. A benefit of green sand is that it also contains other nutrients and will improve clay like soil conditions. 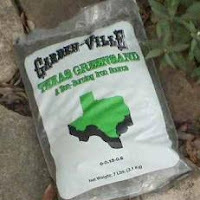 It is best to add the green sand to your compost pile as opposed to directly in your garden. Speaking of composting, if you are not doing it, you should be. Proper composting can fix just about any issue in anyone’s soil. A Google search on proper compost ingredients will give you everything you need to know about constructing a good compost bin for your pile and what to add in it. Michael C. Podlesny is a contributing writer for Mike the Gardener Enterprises, LLC the exclusive home for the Seeds of the Month Club. Pumpkin Patches and Corn Mazes are opening up all around the states as October races toward climax. The fall harvest is being danced like a strange waltz by joyful gardeners stepping in time to the rhythm of this cinnamon scented season. When the last drops of daylight are squeezed from the descending sun the dance concludes and the gardeners return to the warmth of their home to plan canning, freezing, drying and baking for the plentiful yield of fruits and vegetables that fill boxes in every empty corner of their home. For many gardeners, the nights—which have suddenly impinged on the seven o’clock hour—are a time to plot the future course of their gardens lives. But one important task remains, and it may be the difference between a successful growing season next year and a weed infested mania. The wary gardener should cast a suspicious glance toward his tool shed before forgetting where the enemy lurks. Weeds, the harbinger of doom, water guzzling, nutrient thieves, are hiding in plain sight, inside every gardener’s tool shed. Like vegetables, weeds have a rhythm. Fall is the time to send seeds coasting through the air to find fertile soil for next season’s growth opportunity. While the trowel was buried in the soil, digging up a potato, he was also playing host to a panoply of seedy, weedy pods. Like a bumblebees legs, the trowel is an excellent vehicle for new soils to be pollinated. So, instead of washing his hands clean, an alert gardener might want to take the last few weeks of warm weather to eradicate the enemy from the safety of the tool shed’s environment. The best and fastest way to kill weed pods is to dip the groundside end of every tool in a dilute bleach solution. Two parts bleach to ten parts water will be sufficiently strong to kill any weed pods. The gardener should be certain to cover the head and top quarter of a tool’s handle in the solution for the best effect. While such precautions may seem obsessive to many gardeners, these precautions may be the difference between a rich garden environment next April, and an arduous spring on the knees, plucking weed shoots. Every gardener who chooses to utilize the weed pod killing method should make a note to himself to rinse the tools in the spring before returning to till the ground. 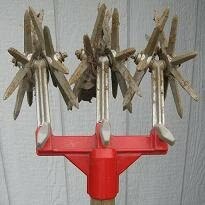 Over the winter, all weed pods on the tool will have died, either from the bleach or the freeze. With the advent of spring, the traces of bleach should be rinsed off the tool before plunging into the soil. It is hard to gear up for the long winter, and there is no better way to do so than to go to bed at night with dreams of a weed-free garden birthing to life in next spring’s warm air. It is by far and away the most popular vegetable grown in the home vegetable garden. Not only here in the United States, but also around the world. If you want better tasting tomatoes and higher yields, follow these tips and you will be well on your way. Tomatoes like the soil to be more acidic. If you can get your soil’s pH level in the 5.8 to 7.0 range you will be in business. Pick up a pH soil test kit to find out where your soil’s level currently is and then make adjustments as necessary as per your soil test kit recommendations. Give your tomato plants a boost by starting them indoors about six to seven weeks prior to the final frost of the season in your area. Once you have them started and fear of frost has passed, you will want to harden the plants, or acclimate them to the environment. You can do this by bringing your plants from the indoors to the outdoors every day to get them used to it and then bring them back in at night. When temperatures are more stable in your area, then go ahead and plant them in your garden. Give your tomato plants and their roots plenty of room to expand. For determinate varieties space the plants out about twenty four inches and for indeterminates, go with thirty-six inches. More room will equate to less competition for the roots when it comes to using the nutrients in the soil. There is no way around it. If you want great tasting tomatoes they need to receive as much sun as possible throughout the day. Partial shade just won’t cut it for tomatoes. They are all or nothing. Not to say you won’t grow any tomatoes, but if you want plants that produce a lot of tomatoes that taste great, make sure you put them in your garden that gets full sun all day long. Tomatoes are juicy. In fact I read that some variety of tomatoes can be more than 70% water. So it goes without saying that a moderate to high watering schedule should be followed while the plants are growing and beginning to produce fruit. Once you start harvesting you can reduce watering to a low even schedule. One of the best tools you can have in your vegetable gardening arsenal is a soil moisture tester. They will give you an exact reading as to how much moisture is your soil. They range in price from $5 to $100 depending on how advance you would like to get. Chances are you, like 95% of the rest of the vegetable gardeners in the world, grow some variety of tomato. Do your tomato plants a favor and follow these five tips to ensure they are successful in producing the great tasting fruit you desire. Radishes; They are easy to grow and you have plenty of varieties to choose from. With these tips I am about to give you, you will be well on your way to adding them to your home vegetable garden. My dad, whom I give credit to for introducing me to vegetable gardening, is a huge fan of radishes. They would always be the first vegetable to go in the ground, and he would continue to plant and harvest them throughout the year for as long as the weather would allow. Besides loving the taste of them, he also said they were very easy to grow, which made planting radishes much more enjoyable to add to the home vegetable garden. Here are his tips that he passed along to me, for growing great radishes in the backyard. Sow your radish seeds no deeper than a half inch. They are fairly small in size and any deeper than a half inch would make it hard for the seed to push through the soil. A rule of thumb is, the smaller the seed the more shallow you should plant it. Because radish seeds germinate well in a wide range of soil temperatures there really is no need to start them indoors. Simply wait until the fear of frost in your area has subsided and then go ahead and sow them directly in your garden. You want to give your radishes plenty of room to grow, expand and thrive. That is why you should space your radish seeds out four inches for small varieties and six inches for the larger ones. That is ample room for them. Even though radishes will tolerate light shade, try to plant them where they will receive full sun. You will see your best yields if your radishes can get sunlight throughout the day. Finally, make sure you water your radishes evenly. A daily watering of the same amount should do it. When in doubt, invest in a good soil moisture tester to help you along. You will know when it’s time to harvest radishes as their tops will pop up through the soil. For the best flavor, do not harvest until you are ready to consume. Radishes make a great addition to salads, soups and stews. They are also very easy to grow and one pack of seeds can yield anywhere from 75 to 150 radishes. Too Many Leaves? Try Sheet Composting! They have a name for everything! I few months ago I was reading the book “Let It Rot!” and I found out that a practice I’ve been observing for years had a name - sheet composting. Sheet composting is one of the easiest ways to add organic matter to your soil. There’s no compost pile needed, no turning, no layering… in other words, none of the things that can make composting difficult. It’s the most passive of all composting methods but it really works and fall is a great time to do it. So what is sheet composting? It’s the process of spreading a layer of organic material on the surface of the garden and working it into the soil. That’s it! The major material that I use for sheet composting is leaves. Instead of raking them up and bagging them, I add them to the garden. Over the years I’ve learned a few tricks to make the sheet composting process work well for me. The first thing that I do is shred the leaves. A whole leaf can take a long time to break down. Shredding the leaves provides more surface area for microorganisms to perform their work of turning vegetable matter into hummus. I have a lawn vacuum that shreds the leaves but you could also shred them by running a lawn mower over them. I then spread the shredded leaves on the garden soil. The leaves are often in a layer 4-6 inches deep… it seems to get deeper every year as the trees grow larger. To have a good sheet composting experience, be sure to work the leaves into the soil. I made the mistake one year of not doing this. I left the leaves on the surface of the garden. The leaf layer provided a thick mulch that didn’t break down very much over the winter. But worse than that, the leaves prevented the spring garden from drying out and kept the soil too wet and cool. Now I always till the leaves into the soil. The other thing I do is add nitrogen to the soil when I’m tilling in the leaves. The organisms that break down organic matter need nitrogen to thrive. Tree leaves are very high in carbon and low in nitrogen, so the incorporation of some additional nitrogen to the soil will help break them down. Phosphorus and potassium aren’t necessary for this process, so look for a fertilizer with high nitrogen (the first number on a bag of fertilizer) and little or no phosphorus and potassium (the second and third number on the bag.) I use blood meal as an organic source of nitrogen (12-0-0). Fresh manure, if you have a means of obtaining it, would provide the needed nitrogen. You could also use a lawn fertilizer (like 29-2-4) - just make sure that there isn’t any herbicide or insecticide in the lawn fertilizer that you choose! A light coating of fertilizer mixed into the soil with the leaves will provide the nitrogen needed to break them down into hummus. That, in a nutshell, is sheet composting. Throughout the winter, as long as the soil isn’t frozen, the soil microorganisms will continue breaking down the leaves. Come spring, while some leaf pieces will still be present, the sheet composting process will certainly have helped increased your soil’s organic matter content and improved its tilth. Plus, it keeps all of those leaves out of the landfill! Compost is the best way to ensure the soil your vegetables grow in have all of the nutrients they need as well as proper pH levels and adequate moisture retention. But before you can get there you need good compost. If your compost has a foul odor here are 4 solutions you can try today. One possible cause for that odor may be the fact that your compost pile lacks air. This happens when the pile is too compacted either from the weight of all the organic material or overwatering. The first solution is obvious and that is to aerate the pile. By turning over your compost pile with a pitchfork you are getting air into areas where it did not exist before. If it is due to over watering, simply add in some “browns” such as leaves, wood chips etc., and that will help absorb the extra moisture, and then repeat the previous step. Does your compost pile have an ammonia smell? This usually means you have too much nitrogen in your pile. This can be caused by lots of “greens” such as grass clippings. If this occurs you will need to balance out the pile by adding in some “browns” like you did before and aerate as well. You can also add a ventilation pipe to the middle of your pile so air can flow into the center of the pile. A Google search on the words “compost pile ventilation pipe” will give you plenty of ideas. Another issue that may be causing the odor in your compost pile is the lack of nitrogen, the complete opposite of the previous step. This occurs when you do not have enough greens or nitrogen rich matter in the pile. Add some to your pile such as grass clippings, fresh live stock manure or blood meal. Use your pitch fork to mix it in and you should be good to go. As a rule of thumb try to have a good balance of “green” and “brown” material to make sure that your compost pile has all of the ingredients it needs to produce the end result, humus, filled with everything your plants will need to grow and thrive. Once you have a good balance then set up your compost pile so that it receives maximum air flow. I have a four foot by four foot square fenced in area that I put my greens and browns into. This fencing structure ensures that my compost pile receives adequate air from all sides. Every so often I will go out with a pitchfork and turn the pile over so I can get the outside ingredients to the inside of the pile, where the bacteria are really working hard to break this material down. Would you like to save some money? A USDA fact in a recent study shows that the average pack of vegetable seeds can produce more than $50 worth of food. If one pack produces that much in savings imagine if you had the rest of them from the Seeds Club. 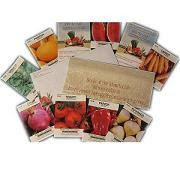 That's 4 packs of vegetable, fruit and/or herb seeds every single month at half the cost! Celery really makes a soup or stew “pop”. It gives them both great flavor, not to mention celery goes great with buffalo wings. Growing celery in your home vegetable garden is simple to do and with these tips you are sure to succeed. Celery seeds are very small. In fact to plant just a single seed in a location is nearly impossible, although I use tweezers so that makes a big difference. Because they are small they lack the energy to push through the soil and grow if you plant them too deep. To ensure their success lightly cover the seeds with soil. Give your celery a head start by having them germinate indoors. Planting the seeds ten weeks prior to the last frost will give them plenty of time to grow and that makes it easier to move them outdoors. Celery grows well in soil with a pH range that is slightly acidic. Keep your soil level above 6.0 and less than 7.0. If you are unsure what your soil’s pH level is, now is the time to go and buy a simple soil tester from your local home center or garden nursery. They are about five dollars and will also give you the info to adjust your soil accordingly. Nobody likes to be crowded and that goes for your celery as well. Space them out at least eight inches to give their roots plenty of room to grow. Celery grows well in full sun but will tolerate light shade. If you have an area in your yard where you can put your celery that receives sun all day long, then do so. Your celery will thank you for it. Make sure you give your celery a daily dose of heavy watering. I like to use a moisture level soil reading tester which gives me an exact reading of the amount of moisture in the soil. They are affordable at around ten dollars and they take away a lot of the guess work. For home vegetable gardeners that follow a crop rotation, be sure your celery avoids following lettuce or cabbage. If you practice the art of companion planting then keep your celery away from carrots, parsley or parsnips. Celery is not a vegetable most people think about when they start their gardens. Once you add this great tasting item you will wonder why you never added it sooner. If you live in the areas of the United States blessed with four seasons, by now you are thinking about the end of the gardening season. There are several things you can do to take advantage of the late season. ● Take in one last harvest. Those green tomatoes will ripen quite nicely on a windowsill. ● They will ripen even more quickly in a paper bag. ● Be certain to sort out any blemished fruit. 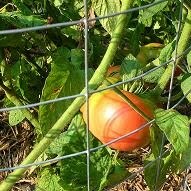 ● Collect and store your tomato cages and stakes. ● Decide where to grow next year’s garlic, work some compost in and plant away, each clove 3-4 inches deep. Stick to seed either from your garden or locally grown. ● If you use a roto tiller, run it dry or drip a couple drops of Stabl in the tank. ● Hose off your tools, maybe even use a file or benchgrinder to put a new edge on your favorite shovel. Take care of your tools and they will take care of you. For that matter, you get what you pay for. Compost leaves on your property – creating “Brown Gold” is a topic for another day, but layer leaves, grass clippings and other organic matter in a compost pile is a great way to begin letting nature rot your way to prosperity. Build a “lasagna garden”. The idea is to make layers over your soil - newspaper followed by leave followed by clippings followed by leaves followed by paper. You may even find the newspaper in your town sells roll ends for $1. You can roll back and forth, ending up six layers thick. Take a trip to the Town Compost pile: Work in one more load before the winter. Begin to think about next year’s garden. If you are planning to add some space, it is a good time to pull up sod and begin breaking in soil. We have all been there. Making mistakes that we look back on now and say, gees I cannot believe I used to do that. If you are not at that point yet, here are 7 common home vegetable gardening mistakes to refer to. I was guilty of this one myself. Sometimes I still partake in this mistake but at least I have it a bit under control. Many home vegetable gardeners plant way too much. When this occurs you simply do not have the time to pick it all and/or cannot consume it all or give it away, thereby leading to a lot of waste. This may not necessarily be a bad thing since you can simply compost it, but you are putting a lot of work into your garden, which increases your workload by planting too much. Scale down what you are growing. Grow what you like to eat and what you can handle. I know that feeling of anxiety after a long, hard winter. You are ready to get your seeds in the ground, or move your indoor plants to the outdoors. Many times, because of this anxiety, some home vegetable gardeners will plant them too early not taking into account that you could be stricken with one more cold night. If you are planting tomatoes or peppers, one cold night could literally wipe you out. Follow the frost chart for your area and then add 2 weeks. Some are limited on space but want to grow a lot. Therefore they plant things closer together in the hopes of getting everything in there. Some plants will grow and produce, but by planting them too close together you are limiting their root structure and also introducing competition for the soil’s nutrients. The back of your seed packets will give you the ideal distance that the seeds should be planted from one another. When you give the roots plenty of room, this will yield to greater harvests. If you do not have a compost pile or simply throw your leftovers away you are missing out on an easy opportunity to add nutrients back into your soil. Compost is the result of organic material breaking down with the end result being humus. That humus is loaded with minerals and nutrients your vegetables need to grow. The best part of composting is there is very little effort on your part. The organic material will be broken down by bacteria, worms and other creatures. All you have to do is feed it to them. Grass, leaves, twigs, food scraps and cow manure make up just a few of the organic items that can be added to your compost pile. I own a number of soil testers. They measure the amount of moisture in my soil. This lets me know whether or not I need to water my garden. This tool is truly worth its weight in gold. Too much water could create root rot in your plants, whereas not enough water could stunt their growth. The pH is a reading measuring how acidic or alkaline your soil is. You ideally want this reading to be above 5 but less than 8. 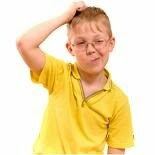 However, if you do not know what the reading is, how can you adjust accordingly? There are a variety of pH soil test kits available at any home center, including ones that measure pH, light and moisture, also called 3 in 1 soil testers. They vary in price costing as little as $3 up to $50. Not all bugs are bad. Ladybugs for instance eat aphids, which are bad. So if you have loads of ladybugs that is a good thing. Many novice home vegetable gardeners kill bugs because they think they will destroy the plant, but not all bugs are there to do that. If you are unfamiliar with which bugs are good and which are bad, there are a number of excellent books on the subject. Do a Google search on the words, “beneficial insects”. I am sure we all have our own personal mistakes that we have made in the garden. I found, after talking to many vegetable gardeners on our Facebook page, that the 7 talked about here, are the most common. There are two questions I receive quite a bit from newcomers to vegetable gardening. The first question and the most popular is what should I grow? The answer to that is simple. Grow what you like to eat. The second question and one that I am going to outline here in this article, is what steps can you take to make your home vegetable garden more successful? The short answer is compost. The long answer is outlined in the six reasons I am about to give you. The end result of compost called, humus, provides all the nutrients your fruits and vegetables will ever need, especially if you put together a balanced mixture from a variety of organic sources. Such sources would be, food scraps, fish waste, grass clippings, leaves, and twigs to name a few. Balanced together the end result when it is done breaking down, will yield tremendous amounts of nitrogen, phosphorous, potassium (as well as other minerals), also commonly known as the N, P, K on your fertilizer bags. In many areas of the world, rain storms can be few and far in between which leads to drought and watering restrictions in developed communities. Imagine if your soil could retain as much water as possible so that you can reduce the amount of watering you will have to do to your vegetable garden. Compost, has shown in studies, to be extremely absorbent. This in turn creates a soil environment where more moisture remains long after the watering ends. I am not even sure if “friability” is a word but friable is! It means crumbly, in other words loose soil. When you have loose soil that is filled with nutrients, your deep rooting crops such as carrots and potatoes will not only thrive but have to expend much less energy to move the soil around it in order to grow. It is said that adding compost to your soil can help prevent diseases in plants. Although I was unable to find a specific study on this particular reason, I thought about it some more and it makes sense. If compost adds plentiful amounts of nutrients to the soil, this gives your plants the equivalent vitamins and minerals it would need to remain healthy, just like we would as people, if we ate a healthy diet and/or consumed a daily vitamin. It is the most overlooked reading for gardeners when it comes to their soil and that is the pH level. The pH level is a scale from zero to fourteen that measure how acidic (under 7) or alkaline (over 7) your soil is. Most plants thrive well at pH levels above 5 and less than 8. Adding compost to the soil has shown to keep soil pH levels more balanced and in that range, although what you put into your compost pile will affect the outcome of the pH level. Adding more acidic items such as citrus fruits will lower the pH level. Organic material breaking into compost and eventually humus is the result of an entire ecosystem at work that you don’t even see. Literally millions of microbes and bacteria do all the work for you. When you add compost to your soil you increase the strength and the nutrient providing abilities of the underlying ecosystem. It becomes a more encouraging environment for various life forms to live and thrive. If you do not have a compost pile, start one today. The sooner you do, the faster you will be on your way to healthier and more improved soil conditions for your home vegetable garden. There are certain herbs I absolutely love in combination with other foods. Basil on mozzarella cheese drizzled with olive oil, rosemary sprinkled on a baked chicken breast or cooked with the Thanksgiving Day turkey are just two of the many. However, there are five herbs in particular that I believe every home vegetable gardener should add to their lineup. They are easy to grow, do not take up a lot of space and super simple to get started. The aforementioned herb is my number one herb of choice. Besides the dish I have previously talked about, basil can be added to sauces, soups and stews to enhance the flavor. There are a number of varieties of basil, such as lemon, licorice, and slam queen to name a few but my favorite is the Italian large leaf which is also the most common basil that you see. You can grow basil in a pot on your window sill and have it handy throughout the year. I touched on this herb before and it’s worth mentioning again because it is one my favorite, especially when it comes to being used with poultry dishes. Rosemary can grow as tall as two feet so it is more than likely for most home vegetable gardeners not an indoor plant. It is also a tough herb to grow as studies have shown in some areas of the world that the germination rate is around 50% so you will want to sow the seeds heavily. However, if you are a successful with it, rosemary adds tremendous flavor. What other herb can you think of that goes better on pizza than Oregano? Common Italian is the variety of oregano that most people are accustomed to. It is also a great addition to soups and stews. It is a perennial plant so you will not have to sow new seeds every year and it is a very hardy plant. My mom made the best dish called parsley potatoes. It is a basic recipe where you melt some butter, mix parsley in with the butter then coat some cut up potatoes with the mixture. You bake at 350 degrees Fahrenheit until potatoes are soft. Adding fresh parsley to this recipe makes Mom’s cooking even better. Parsley is an annual herb so it will come back and the best part is you can have fresh parsley right from your back yard in as little as 70 days. Chocolate has its companion peanut butter, and sour cream has its buddy, chives. Chives are a perennial plant that has a mild flavor, almost onion like. When it grows, it looks like grass, and is a great addition on potatoes, in soups and stews and more. These are just 5 of the many herbs you can choose from when creating an herb garden mixed in with your home vegetable garden. These easy to grow plants will add flavor to your cooking with very little effort. When is it not a good time to talk about perennial plants? They are tied to the ethos of humanity, the desire to drink from the Holy Grail or the goblet of everlasting life. Each year reborn, the perennial plant creates a rhythm that furnishes joy in the hearts of gardeners. Such plants are the definition of economic: buy them once, grow them forever. They can be cut, chopped sliced and diced, thrown back below the ground, buried like a dead man and resurrect to life as ten, twenty, even thirty brand new expressions of the same plant. The perennial is harder to kill than Jason. Speaking of Jason, what perennial plant would not love to have to power to delight the taste buds while harboring the power to kill its eater? Such is the case with the Rhubarb plant. Fear not, however, the Rhubarb has graciously shared her secrets with the tongue of man. She is safe and delicious to all her respect her. Eater beware! her green leaves are poisonous, oh unto death, but her bright red stalks are tart and nutritious, safe to digest. And the beauty of her planted life is that she is perennial and quick to sprout. A mature rhubarb plant can be split at the base and planted in two separate locations only to mature into two full plants. This growth strategy can be utilized exponentially, making rhubarb a virtual cure for world hunger. In four season climates, rhubarb plants should be cut back by mid fall. Trimming the stalks encourages greater growth in the seasons to come. They will die off with the snows and disappear beneath the ground only to regrow in the spring of the following year. Their first harvest will be faster than all other competition with edible stalks mature by late May (in states south of Minnesota and Maine). 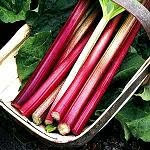 Rhubarb can grow with limited sunlight, and sprouts up in nearly any soil condition. For gardeners who have endured difficult failures, the rhubarb plant—she likes to be called Ruby—will stroke the ego and counsel him or her back to gardening health. In conclusion, love Ruby, respect her leaves and enjoy her tart sprouted stalk like bleeding heart celery.